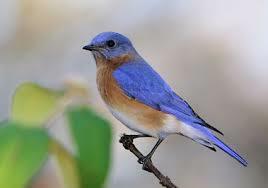 The Eastern Bluebird, Sialia sialis, is an aerial insectivore that has suffered population declines in the past. By providing nesting boxes on your property you are providing habitat and helping to conserve Eastern Bluebird populations. For more information on the Bluebird Nest Boxes provided by the Bancroft Area Stewardship Council, please download our 1-page information sheet. *Note: trees and shrubs, or Bluebird Nest Boxes will not be shipped, you will be required to pick them up at a location in Bancroft, ususally the first weekend in May. Please be sure to provide your contact information so that we can confirm pick-up details.